Adventures of Tanglewood: What makes an Experiment an Experiment? Is the N2K bus redundant? It seems to me that the danger with a shared bus is that the bus may fail. Dave, No, the N2K bus is not redundant and does pose a single point of failure. I've gotten comfortable with it (or rationalized it) in two ways. First, it's just wires, and if physically protected and kept out of the elements, wires are pretty darn reliable. The N2K cables are made for harsh environments, and the connectors have a water tight seal on them. So I think if I picked up any arbitrary piece of electrical gear, the N2K bus would be one of the most reliable. Infallible? No. But pretty darn reliable. The second way I've rationalized it is by making sure I can quickly isolate and work around any problem. If a single device fails it's not a big deal since I have a duplicate of all the critical stuff. The more troubling issue would be if a failing device locked up the whole bus and killed everything. In that case you just need to do a binary search by segmenting the bus until you locate the offending device. All the junction points are readily accessible, and I have a handful of terminators so can go through and do it pretty quickly. One example of making connectors accessible is that instead of running the backbone up the stack and connecting devices up there, we brought individual drop cables down the stack and tied them into the backbone inside a closet. That said, this stuff is all a matter of statistics, so for all I know it will fail tomorrow. 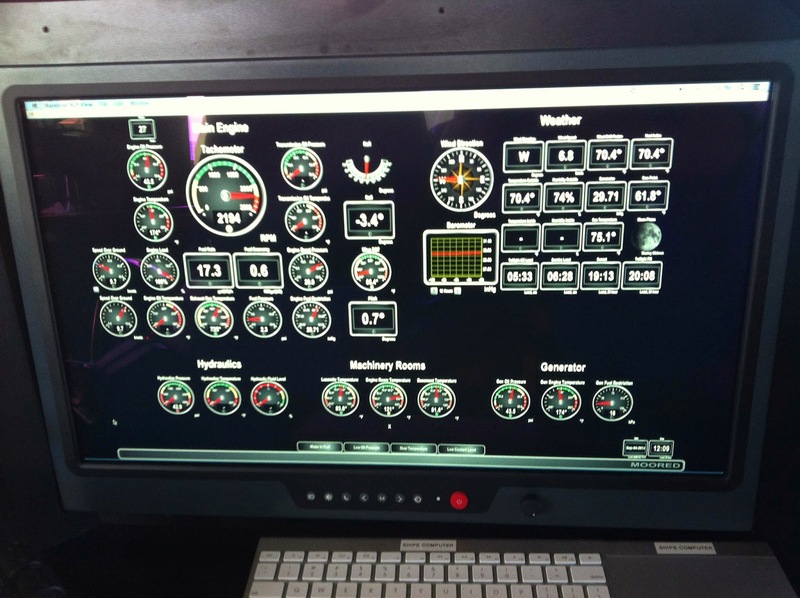 The flexibility and capability of the Maretron Monitoring is impressive. Do you have complete control of the presentation options? 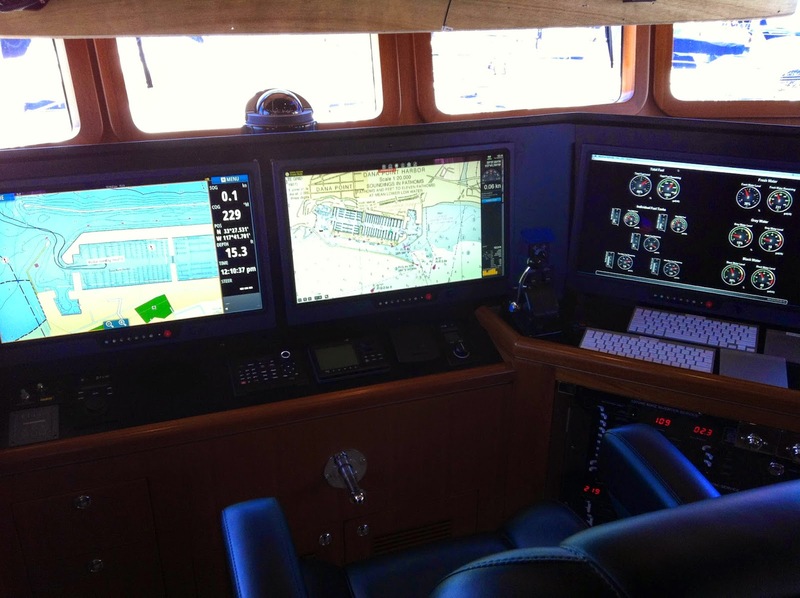 Is a vertical tape display similar to aircraft cockpits available to allow an outlier to become obvious at a glance from across the pilothouse? I'm learning much from your presentation and comments. Great stuff, Peter. Vertical Tape display? I haven't heard of that before, but I'm guessing the gauges are calibrated such that the needles all point in their "normal" position? So you just look to see if they are all lined up in a row as a quick check? If not, please tell more. I'm not a pilot so don't know about it. I'm not sure whether you're considering changing out your AIS, but (on paper/monitor) the combination of a Furuno FA-150 class A AIS, with a Furuno IF-NMEA2K2 (NMEA0183 to NMEA2000 and vice versa) seems promising? The IF-NMEA2K2's features mention a specific AIS Mode dedicated to AIS data, while the 0183 to 2000-direction seems promising as far as 2000-input seems concerned? Regarding your monitors, are they 1920 x 1080 or 1920 x 1200? - Yes, I just finished upgrading to Class A AIS, and as an IMO compliant device, it only accepts 0183 as an interface. So a converter is needed as you mention since my position, heading, speed, etc. are all on N2K. 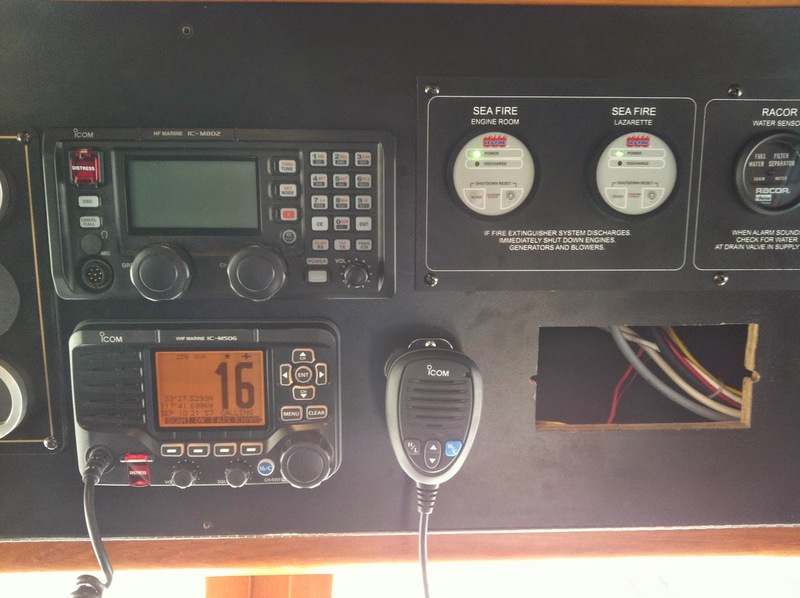 The Furuno IF-NMEA2K2 appears to be a good device, and on first inspection looks good for this application. However the other requirement of an IMO device is true heading in the form of HDT, and therein lies the catch. In AIS-mode the furuno converter transmits all the AIS data, but it doesn't translate HDT. In highspeed-mode it translates HDT, but not the AIS data. Do you need two converters. But I found a really nice converter from AMEC called the NK-80 which does both, and so far so good. I just rechecked and my monitors are standard 1080p HD which is 1920x1080. It's too bad they fall just short of 1200 or they would be a great fit for the higher resolution radar mode.